It has been a treat for cycling fans this summer. The Tour de France – the Commonwealth Games, not to mention the Tour of Poland. 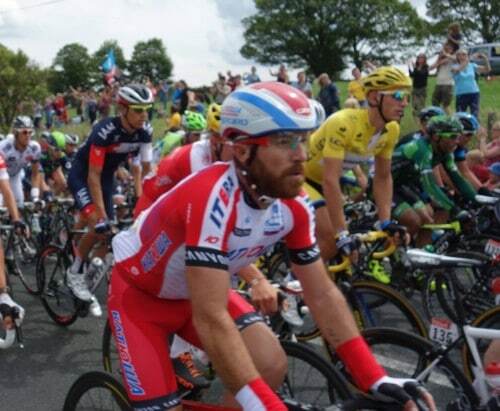 As gripping at the Tour of Poland is on Eurosport, nothing will beat the experience of watching the Tour de France in the flesh through Yorkshire. It was a great shame Froome and Contador crashed out, because it would have made a fascinating battle for the overall between them and Nibali. But, the individual stages had enough interest to make it an absorbing contest all the way to Paris. The Commonwealth Games may not rank too highly on the European Procycling calendar, but it still gave some memorable action. The individual time trial was pretty exciting as time trials go. It was great to see English time triallist, Alex Dowsett come back from 5 seconds deficit to gain a narrow victory in the last few km. Good to see plenty of time checks – something you don’t always see in pro continental time trials. I particularly enjoyed watching this time trial as Dowsett quite often turns up to blast the local domestic time trial scene. Both the mens and womens road race was epic, and I think everyone was glad to see Lizzie Armitstead and perennial team worker – Geraint Thomas take the plaudits and finish first. I would like to see Thomas as the designated team leader for Paris-Roubaix and Tour of Flanders next year. The Vuelta Espane is on the horizon and it will be a fascinating duel between a fresh Froome and an inform Quintana. Froome starts as favourite, but Quintana is a superb climber. There are other candidates as well, though the ageing Chris Horner will struggle to replicate his position of last year. Nevertheless, he’s done a lot for all those balding vet cyclists, who aren’t quite ready to hang up the wheels. With time trials on the back burner until next year, it’s all about hill climbs for the next couple of months. I’m taking a few weeks of unstructured hill climb training before starting more regimented intervals. 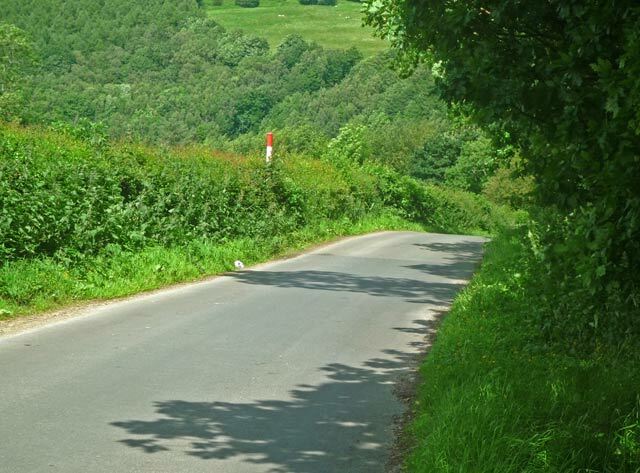 It involves basically going up fast hills, in particular steep 20% hills, like Pea Royd Lane. On Monday I got a sore back after a previous four hour training ride in the Chilterns. It’s a reminder that climbing steep hills uses quite different muscles to a time trial tuck. Once the season gets underway, core strength training usually goes out of the window. But, I might have to do a bit of upper body work to get more power and stability when doing short power efforts. At this time of the year, I make the first comparison of power and time of going up various hills – times I’ve been recording for the past few years. It’s always hard to make comparisons year to year, but you do start looking for any early sign of improvement / decline / stagnation. My power meter seems to be giving readings 20-30 watts lower than last year – at least I hope it’s the power meter and not me. The Garmin always fails when I try to recalibrate. Anyway, at the end of the day, it’s the time going up hills that matter not the power figure on the computer. Unsurprisingly, I feel pretty strong on the fifth or sixth interval of the day, but the all important first interval could be a little faster. I guess if you train for 100 mile time trials, that’s the kind of effect you will get. Now, it’s time to refocus on explosive power rather than maintaining efforts for several hours. I do kind of enjoy hill climb intervals. At least it’s nice to be doing them in summer with warm weather for a change. 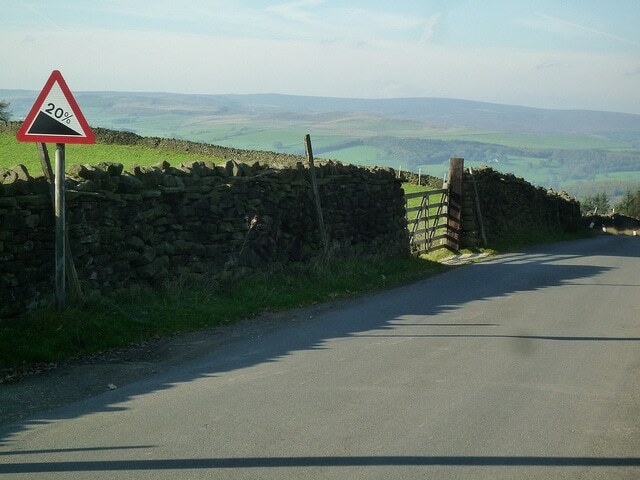 Next week, I may go up to Yorkshire, have a look at Pea Royd Lane, and maybe ride up a few more Yorkshire hills, before heading off to New York where the interval training will begin in earnest. In Oxfordshire, I’ve found a hill which is a reasonable comparison to Pea Royd Lane – Chinnor Hill from Chinnor to Bledlow Ridge. Hi Tejvan, I’m targeting a load of hill climbs this year and I’ve recently got back from a 10 day trip to France where I got about 25 hours of base miles in the bag. Now I’ve recovered, I’ve started doing hill rep interval sessions similar to yours. The question I have is although these interval sessions are key to producing the real top end power needed for hill climbs, what training do you do inbetween the interval sessions? I’m not sure whether to fill the time with recovery rides so I can do even more intervals or put in some base or even some tempo rides into my week. In between I would focus on recovery rides / rest, especially as you get closer to the time of the season when you really want to peak.